A contemporary classic if ever there was one, the gorgeous Deborah vanity series is truly a winning combination of authentic English charm, warm practicality and a touch of the modern. The answer to your bathroom remodel quest is made simple with the Deborah collection, which is crafted for uncompromising function as well as form. Add this beautifully-designed piece to your bathroom today. Distinctive styling and elegant lines come together to form a complete range of modern classics in the Sheffield bathroom vanity collection. Inspired by well established American standards and crafted without compromise, these vanities are designed to complement any decor, from traditional to minimalist modern. Add this beautifully-designed piece to your bathroom today. Wyndham Collection's beautiful Tamara vanity series is inspired by the classically elegant look of Cape Cod, but designed with a contemporary twist. Style meets practicality with miter-finished door and drawer detailing, louvered door inserts, and plenty of storage and counter space. Beautiful marble counters with included modern undermount sinks complete the look and bring the Cape Cod feeling into the 21st Century. 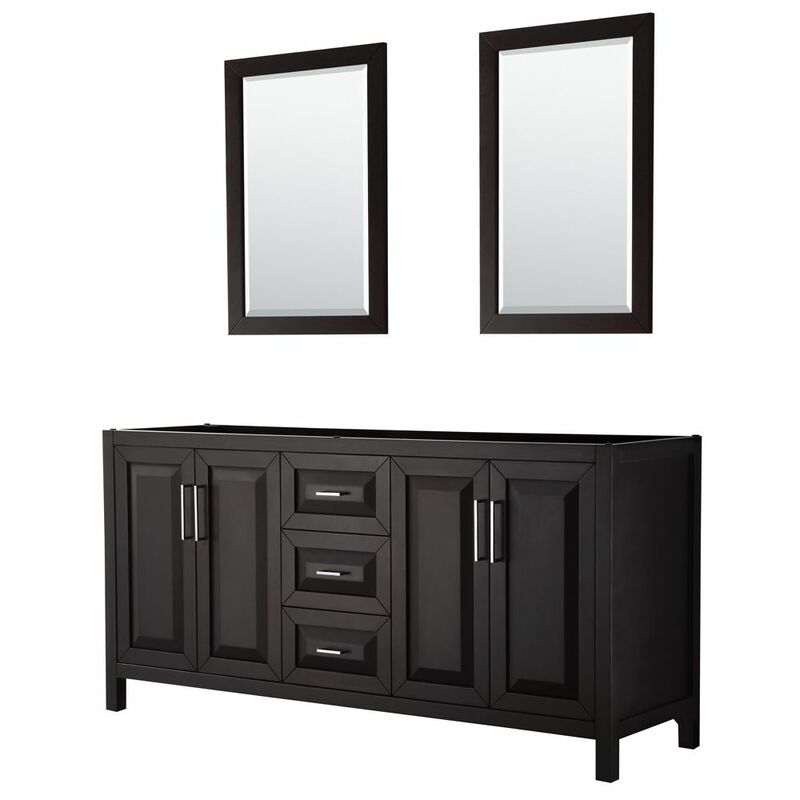 Daria 72 inch Double Vanity in Dark Espresso, No Top, No Sink, 24 inch Mirrors The beautiful Daria collection vanities stand out in any bathroom with strong, clean lines and elegant raised panels. There's plenty of cabinet space, the fully extending drawers are dovetail construction, and chrome detailing completes the look. Daria vanities deftly combine the function of today with a nod to the elegance of the past. It's the new modern classic styling with a contemporary twist.